i heart faces – Pets & Sports! This week’s i heart faces theme is either pets or sports in action. And I just happen to have an entry for each one! Even though, it’s a pet category it doesn’t necessarily need to be your pet. Just any animal will do. I decided on this picture from our last visit to the Philly zoo. 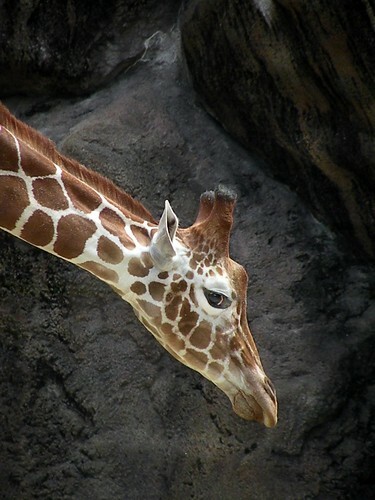 I just love the giraffes! I love how the rocks made a natural vignette on the picture. In fact, this shot required little editting (which I love!). 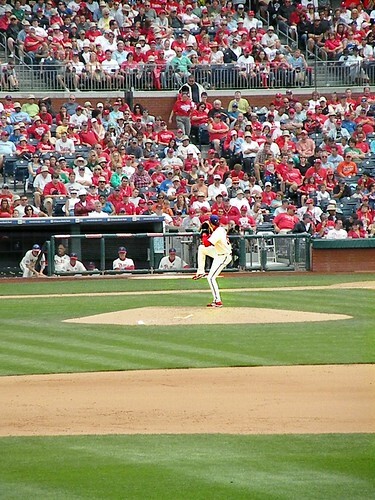 My sports in action submission was taken at the last Phillies’ game I attended. It was actually on Father’s Day and we took Ethan for his first game. I was trying to get this shot of the pitcher in action. I think I got the job done. I know you can’t see the picther’s face…but look at all those lovely faces in the crowd! To see more great pets and sports shots, head on over to i heart faces. Awesome shots! The giraffe one is so cool!